This delectable mouthwatering rice dish strikes a perfect balance between sweet and spicy flavors with a satisfying lingering fruity taste. 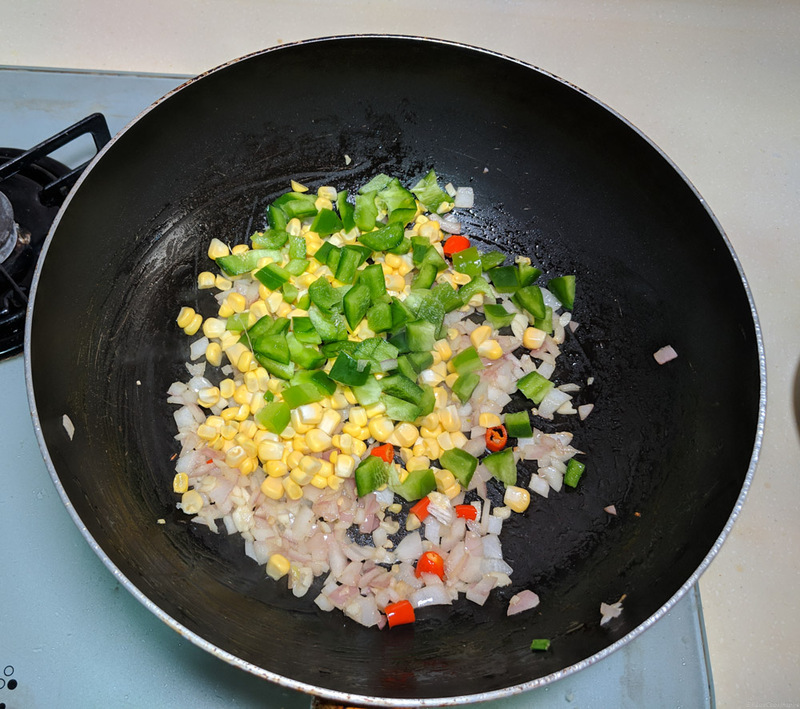 Here is my take on Thai style pineapple fried rice. Take a vessel, add 4 cups of water bring it to boil then add 2 cups of rice and 1 tsp salt. Stir once and cover it with lid. Cook for 10 mins, Let the rice absorbs all water. Allow the cooked rice to cool at least for 2 hours. Clean the prawns and cut it in half. 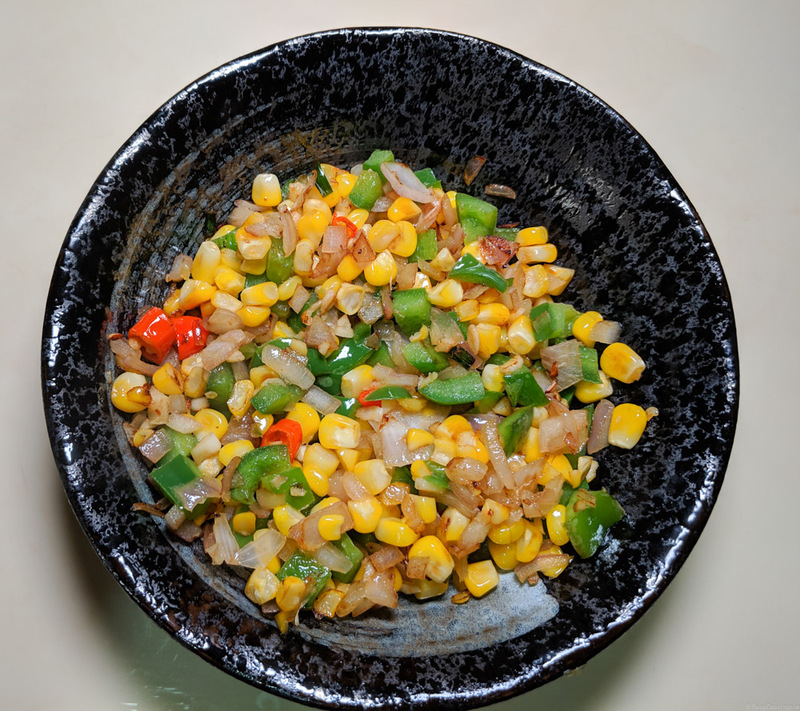 Chop capsicum, onion and take out the corn kernels from corn. Finely chop red chili and crush the garlic cloves. Mix curry powder with pepper powder and brown sugar. Tempting and Enticing isn’t? Enjoy! Fish sauce will be added in authentic Thai style pineapple fried rice. After adding pineapple don’t cook for long the fruit will start to lose water. To get nice texture Cook the rice overnight to avoid clumps and mushiness. Vegetarians can add Tofu instead of Shrimp or Prawn. Any veggies can be added based on your liking.